For lots of our readers, a dropshipping beginner’s feedback is much more valuable than a story from an established entrepreneur. It’s much easier to associate yourself with a newcomer than compare your journey to a millionaire’s experience, right? Today, we’ll share Patrick’s story with you – sit back and enjoy! 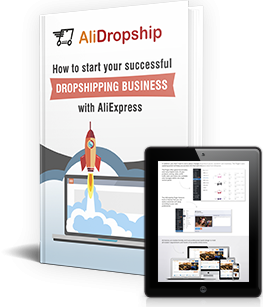 Disclaimer: all the success stories published in AliDropship blog are the results of interviews conducted in the written form. The respondents’ views, opinions, stores screenshots and personal photos are left unchanged. It has all started with a broken phone. 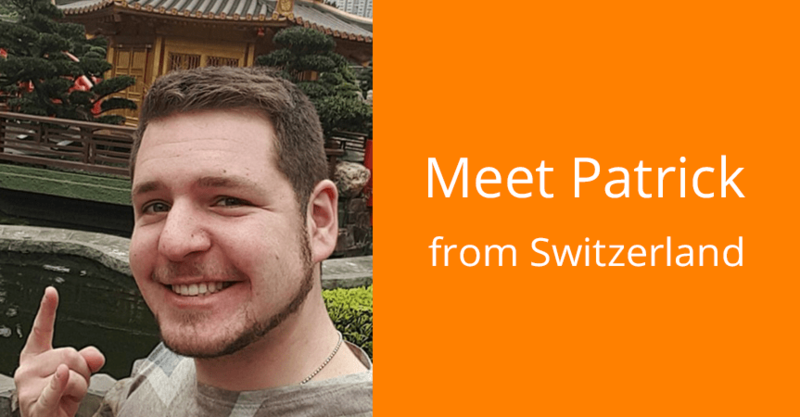 Until recently, Patrick, 22, was an ordinary student from Zurich, Switzerland, who was studying electronics and playing American football as a hobby. And, like any other student, Patrick was on the lookout for some payable job that can be easily combined with studying and with his volunteer firefighting activities. One day, his girlfriend has dropped her phone, and its screen got cracked – well, you know how annoying and sad it usually is. And that’s when Patrick thought: why not start doing mobile phone repairs? After all, he has a profile education – he has even done an apprenticeship as an electronics technician. One thing led to another, and quite soon, Patrick set an even more ambitious goal for himself. He decided to find a related scalable business that would help him expand his mobile repairs venture. Here’s when the dropshipping business model came into play! What do millennials do when they need life advice? They refer to Google – and that’s exactly what Patrick did to research the best and easiest business models he can try. One of the first ideas he came across was dropshipping. Even though Patrick had absolutely no experience in eCommerce or trade in general, he felt the idea is worth trying. The only thing that remained unclear was the process of adding AliExpress products to his self-owned store. But, the answer was found pretty soon: a YouTube video has shown Patrick an easy way to import products and process orders, and that’s how he learned about AliDropship plugin – an affordable tool which is perfectly suitable for a student. So, in the end of January, 2019, Patrick has bought AliDropship Woo plugin and assembled his first dropshipping store ever. The whole business was new and unfamiliar to him – but, he managed to figure out how WordPress works, and even created some kind of a customer contract to make himself safe from Internet fraud. 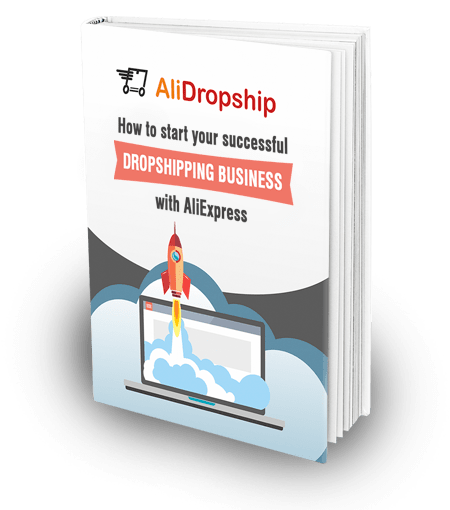 What’s best for a dropshipping newcomer – AliDropship Woo or AliDropship original? Find the answer here! By a lucky chance, he got his first order on the second day of the store operation, and got really excited. This random purchase of a Samsung smartphone case has proven to Patrick that he’s moving in the right direction, and is going to make easy money with this business model. Patrick has chosen his store niche without a second thought, and in his case, that was the right decision. His niche is closely related to his phone repair business. Naturally, he knows the niche products in detail and finds the best AliExpress offers effortlessly. To choose the winning products from reputable suppliers, he evaluates the order count and rating of every AliExpress item he likes. Patrick’s pricing strategy is based on AliDropship’s pricing markup formula: he uses the recommended pricing rule integrated into the plugin. As Patrick says, everyone needs his products – so, he has no trouble identifying and reaching his target audience. The first campaign was in effect in the period from February 20th to March 1st. After that, Patrick tried replacing paid Facebook ads with promo posts and links he placed in Facebook groups with special deals. You can see the outcome of this marketing decision on the latest store visits graph. Patrick says that the store promotion takes the most part of the time he dedicates to his store management every day, and admits that order generation is the most serious challenge he has to face 🙂 Still, the first results are quite encouraging: up to this day, he got 19 orders and 356 CHF in revenue. Will this dropshipping beginner story turn into something bigger? As of now, Patrick only runs one dropshipping store, but its potential seems to be quite inspiring. Patrick reveals that the quality of his student life has improved, and his friends and family fully support his efforts. That’s why he doesn’t simply want to scale and develop his existing business. On top of that, he also plans to launch several more stores in some other niches. In his opinion, the most important thing for a dropshipping newcomer is to have some sort of a legal contract with the clients to minimise the business owner’s risk as much as possible. And, he encourages all the beginners to keep going even if they start small. He says, it’s perfectly fine to scale up the business slowly and keep on maintaining the store. Definitely, this dropshipping beginner story can teach us all a lot. We are sincerely grateful to Patrick – not every newcomer is bold enough to share the humble business beginning! And, we can’t wait to see you following in his footsteps! Good to read. Is it possible to get in touch with Patrick? Talking directly about the dropshipping experience?